A senior couple or other missionary who would like to serve, but who might not be able to provide all or part of the financial resources necessary for their mission service, should discuss their personal financial status with their Bishop. The Bishop determines their financial need and funding options available to them including support from family and ward members. The Bishop may request a grant from the Foundation by submitting a Grant Request Form to his Stake President. The request form with Stake President’s endorsement is forwarded to the Foundation Secretary for consideration by the Board of Directors. The Foundation Secretary will record and forward the request to the Foundation Board of Directors. The Board of Directors approves or denies all grants. 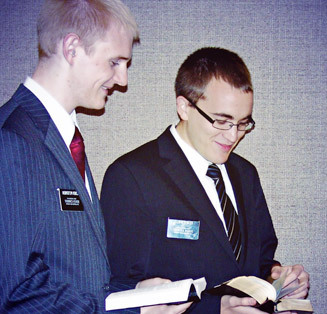 Grants are donated to the Ward missionary fund.